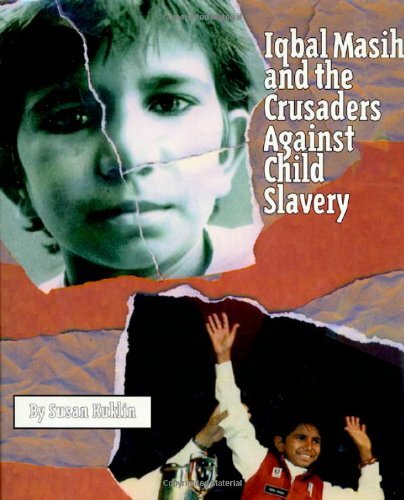 In December of 1994, twelve-year-old Iqbal Masih was honored as a hero. Just two years earlier, he had been a slave, condemned to a lifetime of bonded labor in a Pakistani carpet factory. And five months later, he was dead, murdered in his homeland. Though he is gone, his actions inspired an international campaign of middle-school students and adults that is helping to free and to educate thousands of child laborers. Here is the powerful story of Iqbal's life and death, and of the movement that continues the struggle against child labor today. This book does more than recount Iqbal's own amazing odyssey. Both sobering and inspiring, it shows how we are all implicated in the global practice of child labor, and how we can all work together to end it. If you have any questions about this product by Brand: Henry Holt and Co. (BYR), contact us by completing and submitting the form below. If you are looking for a specif part number, please include it with your message.